Amphibians are the most endangered group of animals on the planet. 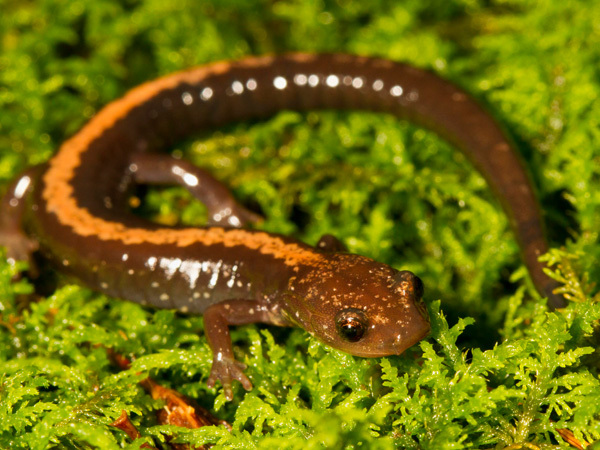 In the United States, amphibian populations are in steep decline. There are six major threats driving the global decline of amphibians: habitat destruction, infectious diseases, pollution and pesticides, climate change, invasive species, and over-harvesting for the pet, food, bait, and laboratory trades. Efforts to conserve amphibians have typically been undertaken by small, regionally focused nonprofits and institutions. Only a handful of amphibian species receive resources from larger institutions (such as the U.S. Fish and Wildlife Service), and conservation campaigns are rarely coordinated among stakeholders and partners. Additionally, the rapid and alarming decline of amphibian species is not well known among the public. Existing websites and resources about amphibians are generally written by scientists for scientific audiences, with a great deal of data and jargon, making them difficult to understand for the general public. To address these concerns, the Emerging Wildlife Conservation Leaders amphibian team developed the Amphibian Report Card and website. The report card serves as an educational and collaborative platform for frog conservationists to coordinate clear communications to the public. The website succinctly combines expert knowledge and known data about the species to communicate the conservation status of amphibians through a report card framework that is understandable by any audience. The grades on the report card describe the degree to which each species is at risk from the six main threats, which are then linked to conservation action opportunities to address these threats. The Amphibian Report Card serves as a resource for amphibian conservation organizations to promote their work and engage the public to increase understanding of amphibians and the threats they face, and furthermore mobilize new audiences to participate in amphibian conservation. This framework with scientific translations directly linked to action opportunities provides a novel approach to supporting the most endangered and least understood animals. 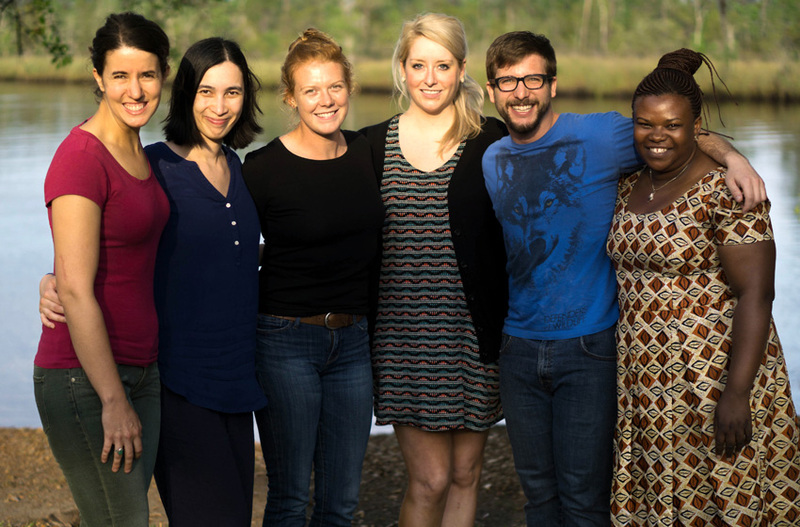 The EWCL amphibian team achieved its goal of engaging amphibian conservationists to design a clear communication framework that links threats to conservation actions using report card grades. Thirty-five amphibian researchers and experts informed the framework for translating amphibian science into clear report cards for the public. Six leaders of amphibian conservation organizations reviewed the framework and the design of the website to make it more useful for their audiences. A professional web developer and an experienced graphic designer contributed their skills to build a website where amphibian conservationists can log in to make and update species report cards with understandable and clear visuals, translating the science of threats to amphibians. Six amphibian experts informed us of the status of specific species, helping develop the first six report cards to launch the website. By achieving the goal of the project and launching the Amphibian Report Card, this clear and easy-to-use resource about amphibian threats and action opportunities supports increased public understanding of the threats impacting amphibian populations, as well as engagement in and support for on-the-ground conservation efforts to address these threats in the U.S. The user-friendly online platform supports increased understanding of and action for conserving amphibians across the country. The need identified by our partner, SAVE THE FROGS!, to develop a simple structure for translating scientific data into a clear framework for communications was achieved by this project. As of October 31, 2018, six report cards have been published on the website. As the website is shared and marketed by our partners, this number will grow through experts’ use of site functions to log in and provide input about amphibian species. In this way, the website is meeting the goal of being a resource for amphibian conservationists, as they can use it for their own needs and communicate about their species of interest and/or expertise to entirely new audiences. The EWCL amphibian team secured funding through SeaWorld Busch Gardens Conservation Fund and Disney Conservation Fund to enable the design and development of the website and Amphibian Report Card. To emphasize the dire situation of amphibians in the U.S., the Amphibian Report Card uses a familiar system to convey how well a species is doing: report card grades. However, because the Amphibian Report Card aims to simplify and communicate complex conservation issues, the grade ranges for our report card are different. Amphibians are graded on their population status, habitat status, and threat vulnerability. These three grades are averaged to provide an overall grade. Grades are comprised of A, B, C, D and F.
When comparing expert assessments of each species, disagreements may arise. In the event that there is a high degree of disagreement or uncertainty among experts, that uncertainty is noted with an asterisk on the species’ final report card. To develop this grading system, we reviewed other scoring systems and conservation platforms to pull out best practices. David Mizejewski of National Wildlife Federation served as the project advisor and mentor for the EWCL amphibian team. His support and advice provided essential guidance throughout this project. Many amphibian experts acted as expert reviewers, advisors, and contributors to support the design of the Amphibian Report Card framework and the development of the report cards on the website. They were integral in ensuring the resource would be designed to be useful to the target audience, and we are grateful for their valuable input and time spent supporting this project. The Amphibian Report Card is a resource to help improve understanding of the threats that amphibians face across the United States and increase the number of people participating in amphibian conservation. You can become an Amphibian Ally with a variety of actions to support these animals’ health and survival. To learn more, visit our Take Action page for more information and to get involved. Explore the species in your region to see their report card grades and find opportunities to get involved with amphibian conservation projects. By helping to alleviate the worst threats that they face, we can help amphibians achieve passing grades. Spread the word! Share the website with friends, family, schools, other amphibian organizations and advocates, and social media networks. Finally, if you are an amphibian conservationist or researcher, go to Expert Log-in to share your expertise on a species and help make new or updated report cards. With your knowledge and participation, the report cards can be improved and you can share your critical work helping to conserve these important species.